We are a leading Manufacturer of welding helmets, safety helmets and bullet proof helmet from New Delhi, India. Our manufactured Welding Helmets are reckoned worldwide for their durability. 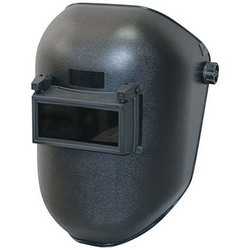 As they provide excellent protection to face and eyes of the wearer, these are ideal for welders to guard against dangers during welding or other manufacturing activity. These helmets can withstand extreme temperatures. Product improvisations are also available as per client's specifications. 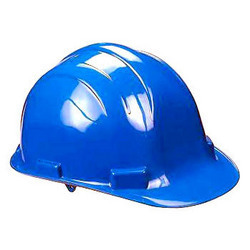 We offer our clients with a wide range of safety helmets, which are designed as per the industrial requirements. These safety helmets can sustain heavy impact and ensures workers safety in many engineering and construction sites. Highly recommended while working at mine sites, since such sites are highly prone to accidents. 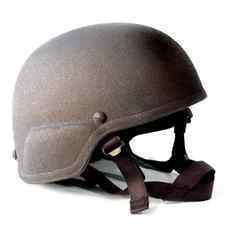 Our bullet proof equipment, bullet proof helmet is for level iii a is made from woven aramid fabric lamination to minimise the weight for comfortable wearing.